Supports all MS Office Files such as: .doc, .dot, .xls, .xla, .mdb file type. VBA Password Recovery Tool Compatible with all the versions of Windows including Windows 10 /8.1/8/7/XP/2000 & the below versions. Supports all MS Office versions like: 2007, 2003, 2000, 97, XP to unlock VBA Password project file. SysTools VBA Password Unlocker software is the ultimate solution to Quickly recover the lost or forgotten password. It has advanced techniques to unlock and recovers VBA project password of any length in an eased manner. Also, it supports MS office versions like 2007, 2003, 2000, 97, XP to unlock VBA password project file. This advance utility will help to remove errors like How to remove VBA password in excel, access or word VBA file. VBA Password Cracker Tool by SysTools is one of the best ways to easily unlock and reset multilingual MS word password. It supports all MS office files such as .doc, .dot, .xla, .xls, .mbd file type. Also, it recovers VBA password of any length from a type of VBA file. Therefore, it can reset the password from the source code of any file. 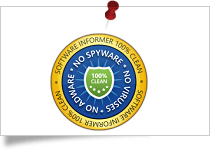 SysTools VBA Password Unlocker Software got a 5-star rating from Software informer for providing best services to recover VBA password. 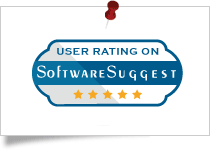 VBA password generator application gets the 4-star rating from Softpedia for delivering Ad/Spyware free solution. Cnet provides SysTools word password recovery tool take 4-star ratings from its performance efficiency and output accuracy. 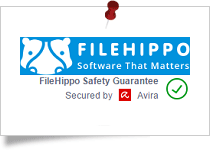 Filehippo states that SysTools VBA password breaker is a safe and secure tool for recovering lost or forgotten VBA password. Software Suggest rates VBA access password remover software got 5 stars for its effectiveness to recover and crack word password. Using the VBA password recovery software users can successfully remove lost password of the VBA files and projects. If you have forgotten your VBA Excel password or if you want to access any other password protected VBA file then, this word password breaker is one of the best tool. Removal of the lost VBA file password automatically generates a new password under the software. Thus, VBA Password Remover tool not only allows you to remove the password from VBA file but also generates a new password. 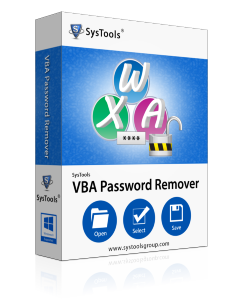 The SysTools VBA Password Remover software designed with advanced techniques to generate code or crack VBA Project password of any length in an eased manner. Any password that is composed of multiple combinations and is very long is effortlessly recoverable. Be it MS Word or MS Excel file, VBA password unlocker tool can reset the password from the source code of any file. These files used by the VBA application to create projects may include; .doc, .xls, .xla etc. The program will help to remove errors such as : how to remove VBA password in Excel, Access or Word VBA file. Users can even recover multilingual source code passwords of VBA project i.e. the passwords made up of alphabets and symbols as well. If you have composed a password with the combination of numbers, alphabets, and special characters and is quite lengthy, then also password removal is possible. Once you browse a VBA file and recover the password then, the word password generator software will show complete recovery details of the same. This detail includes complete procedure followed by the tool to reset VBA Project password and set a new password. The trial version of VBA Password Recovery Tool displays only 2 characters of the new password that is generated by the tool. If you are using Window 10, 8.1/8/7 or Vista, then please launch the tool as "Run as Administrator". How can I view the VBA module in an Office file? You can view the VBA code in an Office document by pressing Alt+F11 button simultaneously and start working on the project. Does the VBA Password Recovery tool have any compatibility issue with Windows 8 OS? No, it is a Windows compatible application and supports all of its versions including Windows 8 Operating System. Run SysTools VBA Password Remover program. Select a VBA project file to unlock. Unlocks and open password protected VBA project file. Generates a new password for VBA file. Recover lost excel VBA password. Crack VBA password from .xls, .xla files. Best tool for .mdb VBA password recovery. Access VBA password protected word document easily. Can I unlock VBA project password access and view it by using this word password cracker software? No, VBA Password Unlcoker software only unlocks the password for VBA source code from Office files like DOC, XLS, DOT, XLA, and MDB. It won't help you to remove Office workbook file passwords. How to remove password from Microsoft word? Yes, Excel VBA Password Remover Software will easily recover Microsoft word password. Will I be able to see recovered VBA Excel 2007 password? Yes, you will be able to see the newly generated password. VBA Password Recovery tool removes the old password from VBA code of Office files and generates a new password. You can see this password at the end of the process on the bottom of your screen. It can be used to unlock VBA Project password in Excel 2010 or the other below versions. Further, if you want, you can manually change it accordingly. Can I remove VBA Excel password from a Macro Enabled Excel worksheet (.xlsm)? VBA Password Unlocker Software only unlock password from VBA code of file types including: .doc, .xls, .xla, .odt and .mdb successfully. Please contact our Support Team to reset VBA project password of .xlsm file type. Does the VBA Password Generator tool only process one file or multiple VBA files of same type at a time, to retrieve the password ? You can only add one file at a time for executing the process to unlock VBA password. Is it possible to recover password from VBA code of a corrupt .doc file? No, VBA password recovery software won't help you unlock VBA project password in case Office file is corrupted. File should not be corrupted/password protected. Is it possible to do VBA .xla password recovery from this tool? Yes, this utility can remove Excel VBA password from both .xla and .xla files. Will I be able to get back the old password of VBA code? No, the application will remove the previously set password from VBA code and will generate a new VBA password for it instead. This password can later be changed as per your convenience. Demo version of VBA Password Remover tool, will reset the old password from VBA code and generate a new password. But will only display two initial characters of the newly created password. The full version of the application does the complete VBA password recovery and even generates new VBA password. Does the Word Password Creator software support password recovery from Office 2010 files? No , currently the software doesn't support Office 2007 & 2010 files. It supports MS Office application versions like; XP, 97, 2000, 2003 and Microsoft Access 2000, 2003, 2007. Yes, this Microsoft Word Password Cracker can remove multilingual passwords of any length including special characters.